Do you wan to Update Xiaomi redmi note 4 to android 7.0 Nougat officially ? 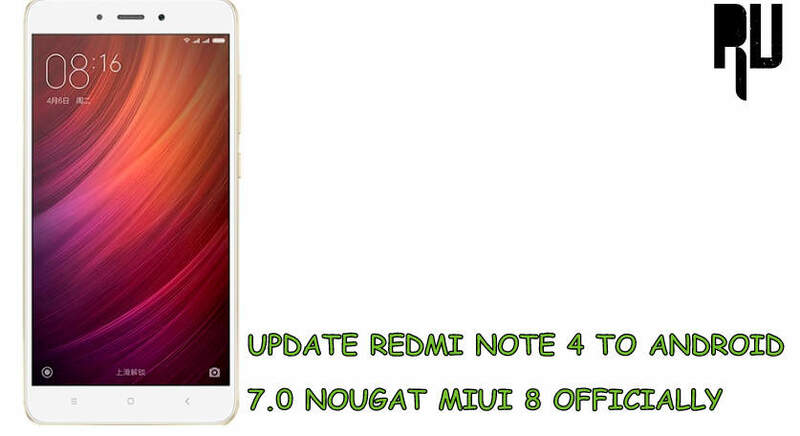 If yes then yo are at right place today we are here with the guide on how to update redmi note 4 to android 7.0 Nougat. Xiaomi redmi note 4 is the latest smartphone from xiaomi in india, basically there are 2 variants of the redmi note 4 out of which one comes with mediatek helio x20 processor and the Pro or Prime variant comes with a Snapdragon 625 Octa core processor. The Redmi note 4 Snapdragon variant comes with 2Gb/3Gb/4Gb ram . The Xiaomi redmi note 4 comes with 5.5 Inch hd screen and a fingerprint sensor at the back, Coming to the cameras so there is a 13Mp camera unit at the rear end and a 5Mp camera unit is placed at front to capture selfies . The smartphone comes with 4100mah battery which is expected to give 25% more battery compared to the old redmi note 3 . The smartphone also comes with the the heat absorption technology which lets the smartphone cool even while playing High end games . The smartphone runs on android 6.0 Marshmallow, but today in this guide we will tell How to Update Xiaomi redmi Note 4 to Android Nougat 7.0 Officially. Redmi note 4 Qualcomm is a newly launched device and the smartphone comes with Miui 8 based on marshmallow, But still there is a way with which users can Install nougat on Redmi note 4 manually . So in this guide we will tell you The official way to Update redmi note 4 in Nougat . List of Xiaomi Devices Getting MIUI 9 Update. 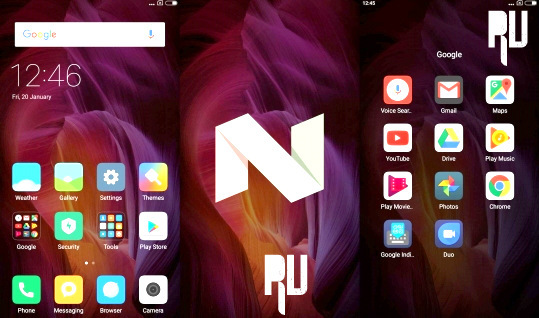 Xiaomi redmi note 4 is one of the first xiaomi devices that got official nougat update from the company itself, but the nougat update for Redmi note 4 is in beta phase which means that there are some chances of bugs in the rom . But as this is the official update so you will get regular ota updates from the company which will solve all bugs . How to Root Xiaomi redmi note 4 Without pc. This Nougat firmware is only for Redmi note 4 Snapdragon variant so dont try to flash it on any other device . Mi flash tool is required to flash the rom on Redmi note 4. Minimum 6Gb of space is required to flash the update in your device . A Computer and A Usb Cable is required to Flash the rom in your device . Make sure you make a backup of all files before installing the rom on your device . Download Redmi Note 4 Nougat Firmware . Thats all !!! You have successfully installed Nougat 7.0 Update in redmi note 4. Thats all !!! So this was how you can Officially update Redmi Note 4 to android 7.0 nougat . So this was our guide on How to Update redmi note 4 to android 7.0 Nougat Manually, As the firmware is all new so at this time it is only possible to flash it using Mi flash tool . After some time Nougat OTA Update for redmi note 4 will be released for public .